Hey theatre enthusiasts and play lovers alike, hear ye! Hear ye! ​Theatre El, in its tradition of proving that drama, has traversed beyond the motif of Hausa, Yoruba and Igbo which is ever present in mainstream Nigerian stage drama and is staging a series that does not only draw its electricity from every day Nigerian life but further evades progressionist themes, hugging its weight on the experiences of the urban Nigerian man and woman:Theatre El presents FLASHES OF LIFE. 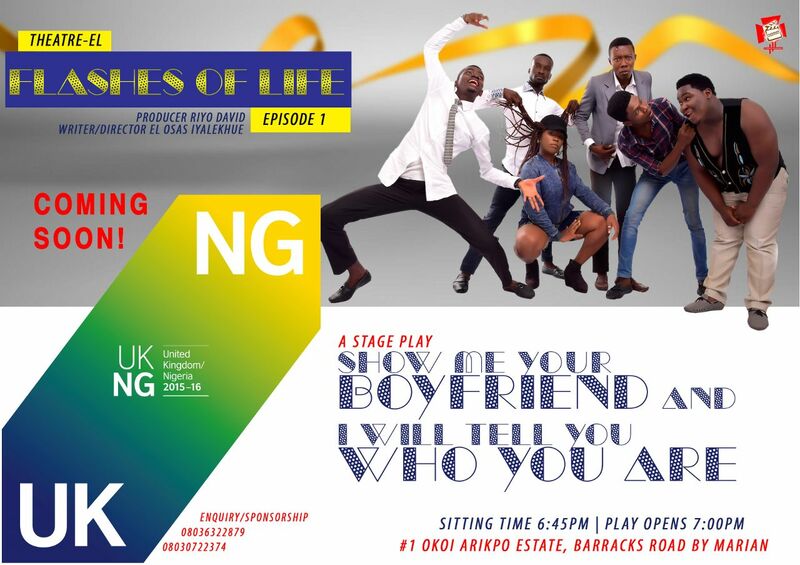 These plays will be showing at The Parlor, Tholakele productions #1 Okoi Arikpo Estate, Barracks Road, Calabar, Cross River State. 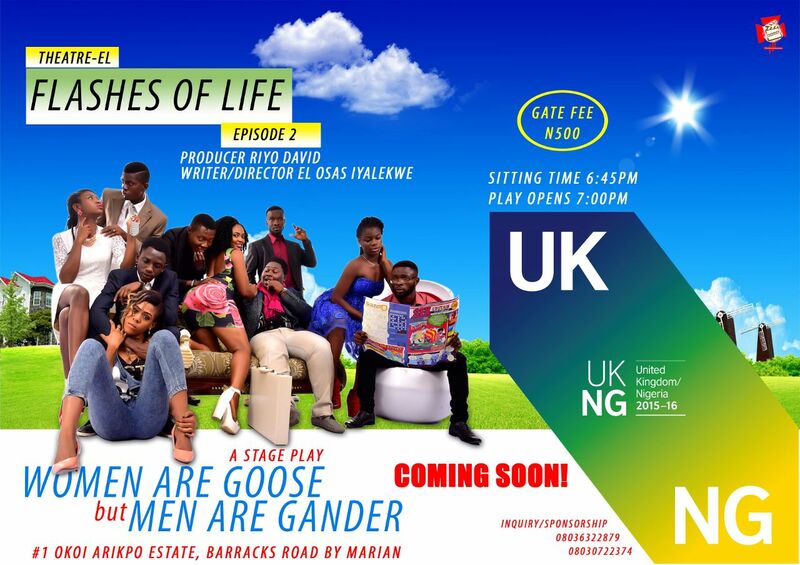 This entry was posted in activities, Ads, events, events, activities and tagged advertisement, Calabar, calabar events, Entertainment, flashes of life, leisure, poetry, theatre arts, theatre El, tholakele productions. Bookmark the permalink.